I drove past a house for sale an hour or so ago. 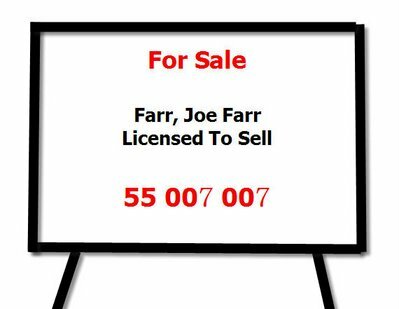 The house is being sold by a Remax.com.au agent called Joe Farr (I would link through to Joe’s profile but the Remax site doesn’t enable it). Brilliant thinking by Joe to set himself apart from all the other agents. All attributes that would increase the likelihood of me talking with Joe about selling my house.